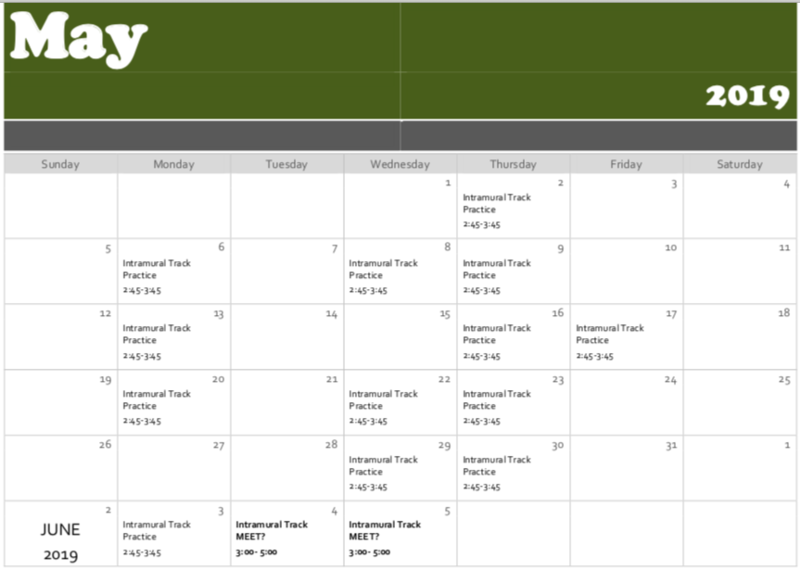 Any sixth graders interested in participating in Intramural Track, practices begin on Monday, April 22nd. This is a good opportunity to meet new people, learn new skills and be active. We have one track meet competing against the other Troy Middle Schools in June. No prior experience is necessary. Be sure to pick up a permission slip from Mrs. Lee, Mrs. Stone or Mr. Hayes, and have it turned in on or before the first practice. We hope to see you there!